Shirley Bahlmann Biz: Sooo Unexpected! This is the sitch... my sister Rebecca's working in Lincoln, Nebraska for three months. Just 12 short weeks. On Sunday, April 22 she was in Omaha, and decided she would just stop long enough to attend a nearby Church of Jesus Christ of Latter Day Saints before returning to Lincoln. So she went inside a random church house and saw some sister missionaries in the chapel. 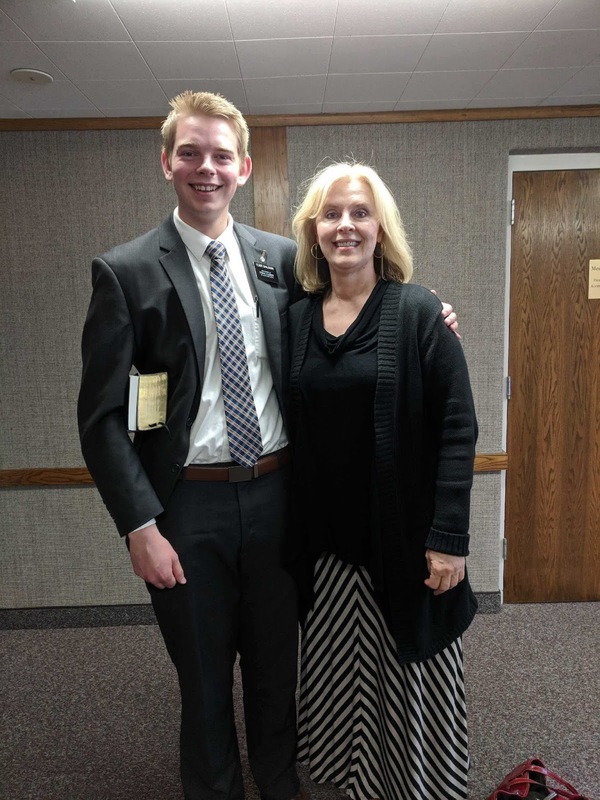 Hoping to make a connection, she asked, "Do you know Elder Bahlmann?" The sisters said, "Yes! He's right out in the hall." And what do you know? He was! Some people don't believe in coincidence. They say that everything happens for a reason. Some do. They say that things just happen randomly, for no particular purpose. Carolyn's Easter Bonnet and egg fingernails!